Let’s look at the premium plugins first. Magic Sales Page – It seems that sales pages are all the rage lately in plugin and theme world. Here’s yet another plugin that will help you customize your sales pages quickly and easily. It has all the usual sales page stuff that you would expect including button graphics, list styles and the ability to color pick the elements to suit your theme. I am an Optimize Press fan as most of you already know. I haven’t bought this plugin because Optimize Press fulfills all my needs for sales pages, squeeze pages and quickly creating members area pages. If you just need a sales page plugin and nothing else on the backend like Optimize Press gives you (or many other themes and plugins) then this could be useful for you and your wallet. The plugin developer is Frank Haywood who is well known for creating WordPress premium plugins for internet marketers. 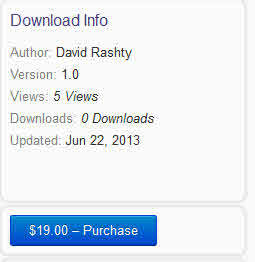 At the time of writing the plugin is $10 on sale. Expect the price to increase in the next few days. 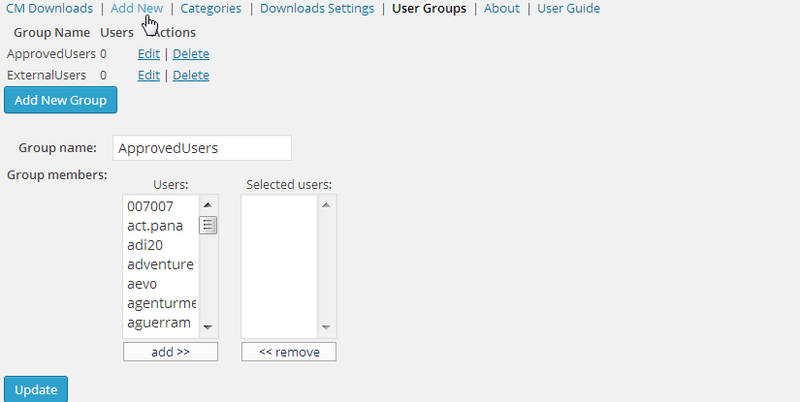 List Eruption 2.0 – this is not a “new” plugin but a revised plugin that was released in 2011. Basically, the plugin creates a landing page (that is responsive). 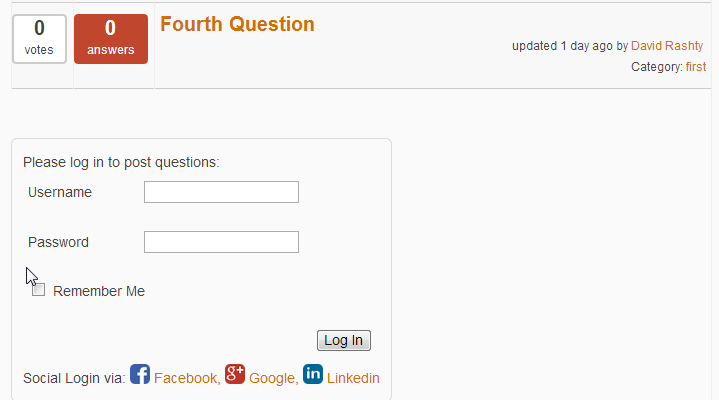 Once the user optins they are taken to a customized download page with sharing ability to promote your landing page. There’s also a video demonstrating to the user how to share your page. What makes this plugin different from other optin based plugins is that visitors are rewarded for sharing. You can make up whatever “reward” you want including little badges, reports and the like. 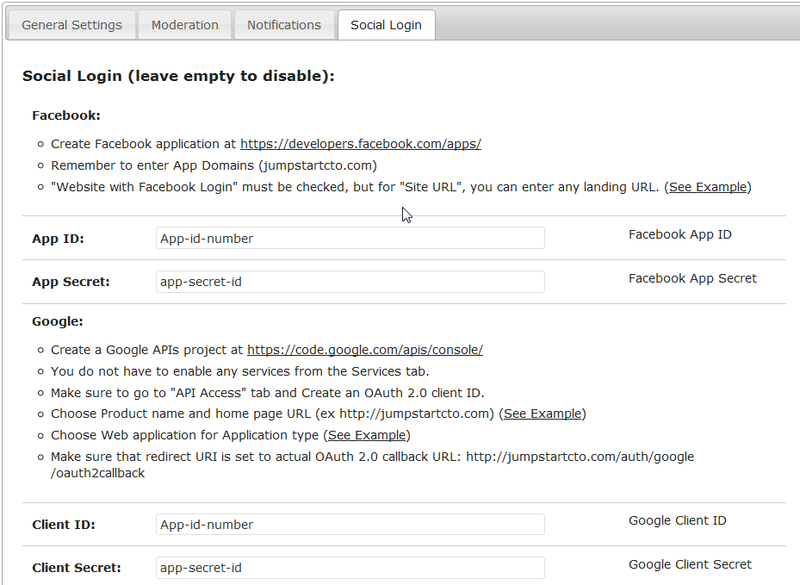 The plugin also integrates with Go To Webinar to build out registration pages for example. When combined with the sharing and rewards system this may increase your attendees at your webinars. As you would expect the plugin also collects stats so you can monitor activity and improve your marketing. 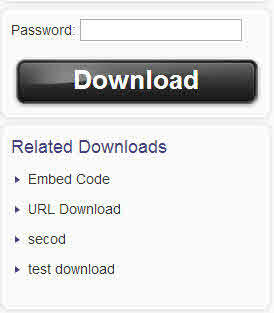 CM Download Manager – if you have ever wanted your webiste visitors/members to have the ability to upload and manage downloads on your site then this plugin is for you. 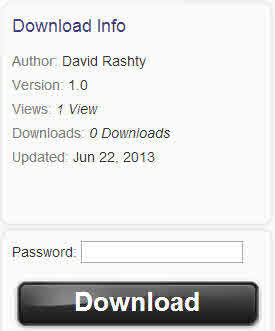 In addition to managing the downloads each download comes with a support forum for the download. Nifty. I could see this being very helpful in help desk situations, members sites and where you offer coaching that is based on members doing homework or completing activities. Testimonial Slider shows the testimonials and feedbacks submitted by your Happy Customers in a clean, responsive and beautiful Slider format. The “Testimonials” are a Custom Post Type so it is very easy to add, modify and delete testimonials. 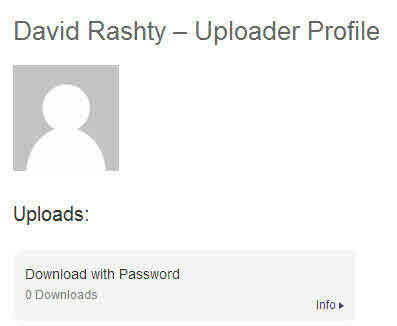 You can enter the Customer’s Image/Avatar, Name, Company, Website in the Custom Fields for the Testimonial and the actual Testimonial text in the “Description”. It is as simple as that! 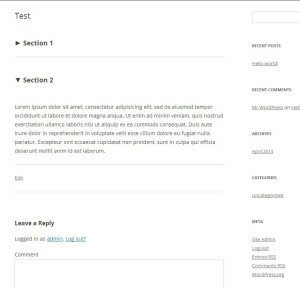 Section Page a simple plugin allowing you to insert dropdown sections in your wordpress pages and posts. This plugin loads wordpress jQuery. The plugin add a “Add dropdown section” button to your tinymce editor. Select your block of text and click the button to wrap the text into a section shortcode. This will be automatically replaced by a dropdown section based on the plugin settings. Use the Custom Css option with the custom classes options. 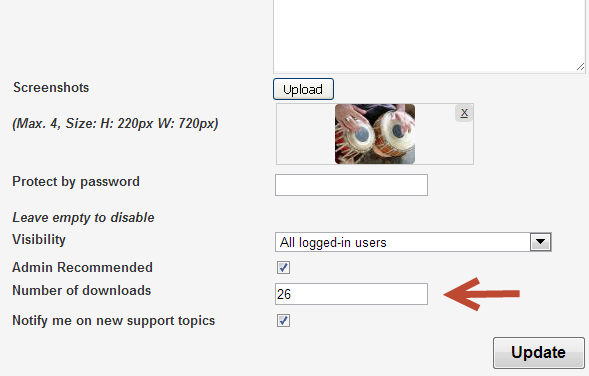 You can also modify your theme css file if you are using wordpress on your ftp. 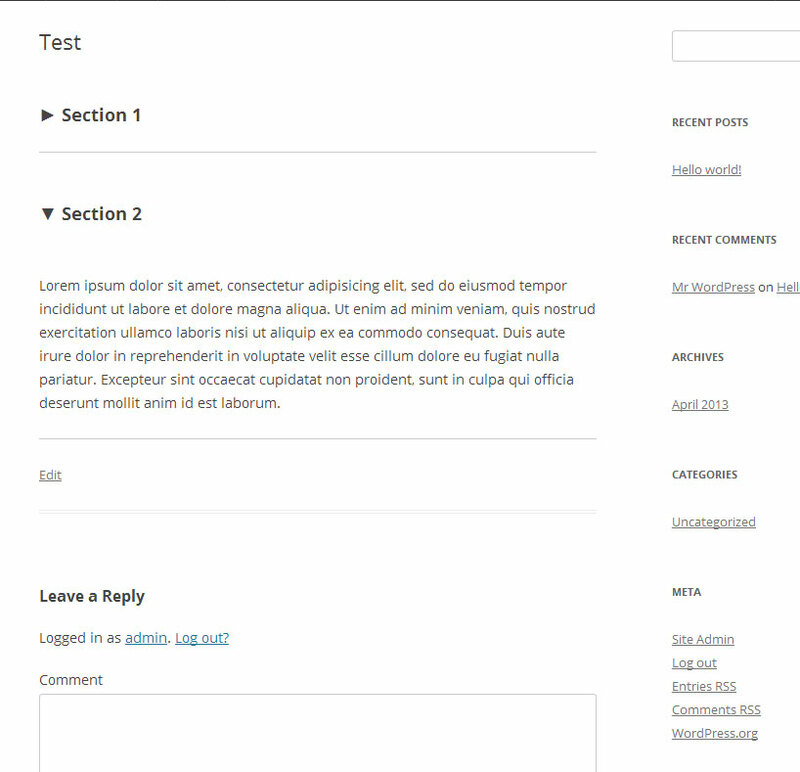 Now when a section is open, it receive the css class owc-sp-active so you can use it for more customization. This Plugin will automatically post to pinterest when you publish your post. Pinterst does not have an API so we have made this plugin to post to pinterest automatacially. Advertisement Management – the Ad King Pro is a free solution to manage ads on your site with detailed statistics. 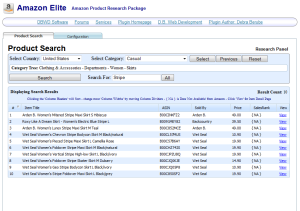 Amazon Elite Product Research Plugin – If you build Amazon affiliate sites then you know how important product research is. You can put your product research on steroids (and without buying fancy software) with this little plugin. 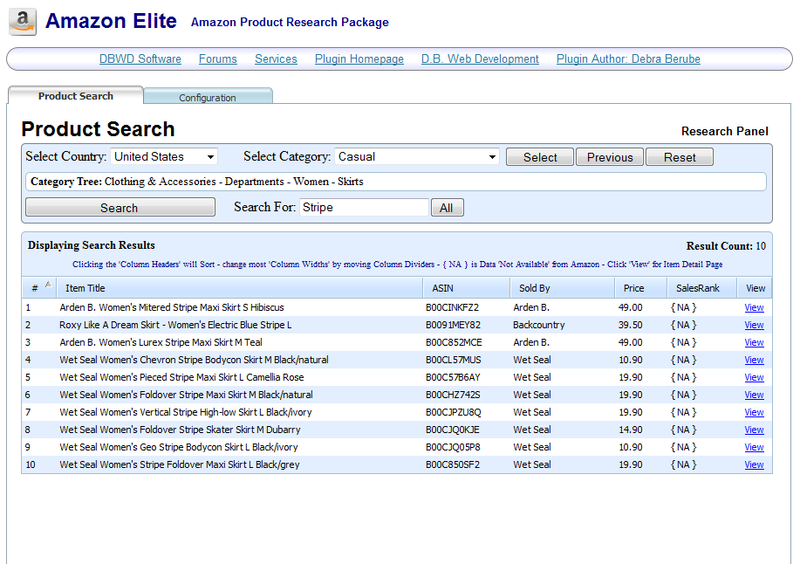 It allows you to search Amazon product and locate data like the sales rank and who sells the product. Really useful when creating “review” style affiliate sites. without any comment from me …. Farticles makes your WordPress site fart when a page is scrolled. After installing, you will need to visit your general options page to set where you would like to fart. Use with care as websites playing any kind of audio without a warning or permission from the user are generally obnoxious and annoying.